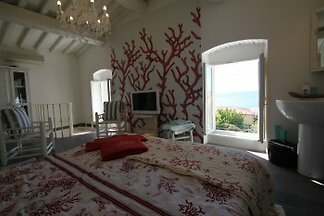 Dear Guest, I inform you that we just renovated and made available to you from our last villa with private pool, equipped with every comfort and reaches only 300 m from the sea with the bicycles that we have made for you. The villa, which has so-called White Beach (due to its proximity to the famous white beaches of Vada) all completely renovated and opened to guests in June 2014 and is located in a quiet residential area, only 300 meters from the sea and about 500 meters from the bus famous white beaches of Vada, famous for its white sand as that of the Caribbean. The White Beach villa consisting of 4 bedrooms and 4 bathrooms and is light gray with great attention to detail in a Provencal style with colors ranging from white to and give the place a touch of sophistication and freshness. The large garden, all fenced houses of the new pool (about 11 x 5 m) with tropical umbrellas, deck chairs and outdoor shower, surrounded by lawns and fruit trees. 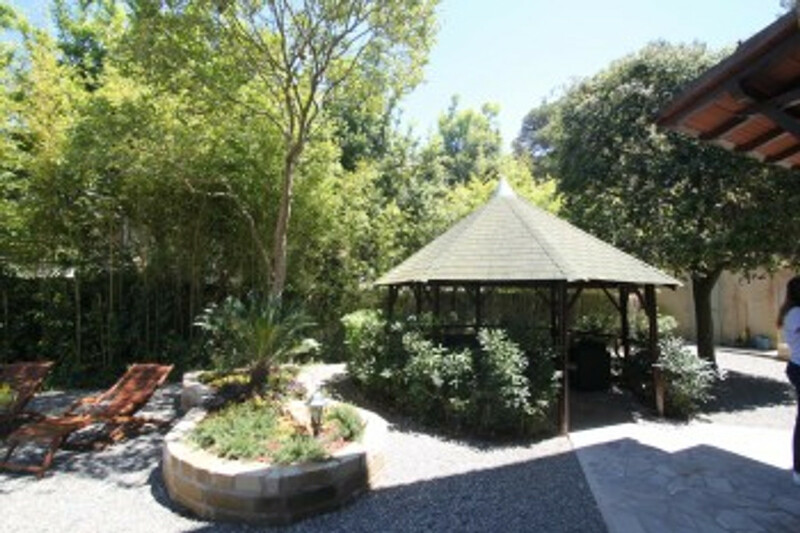 The garden is also home to a whole area for barbecues, a small playground for children and a beautiful gazebo with sofa and chairs where you can relax dedicated. 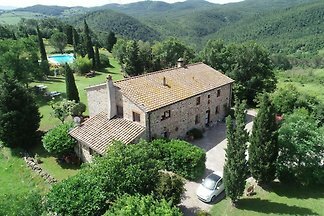 The villa is about 270 sqm on 3 levels. 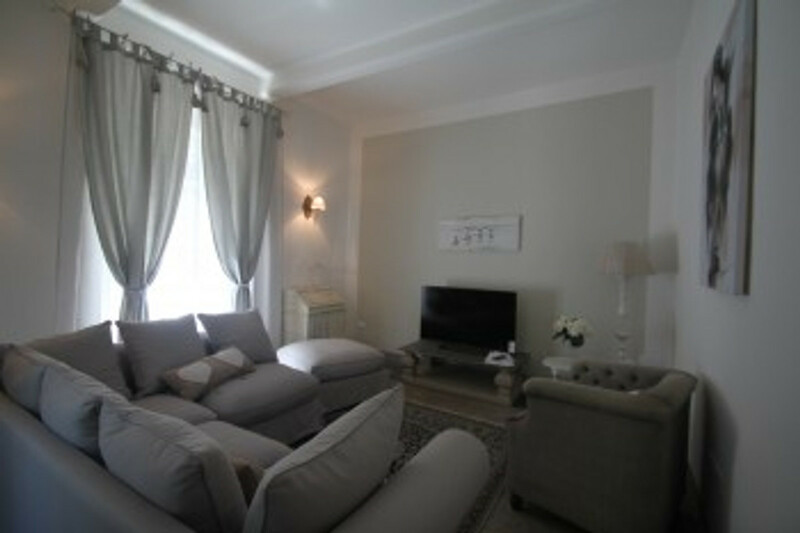 On the ground floor are: living room with a large sofa, armchairs and satellite TV. 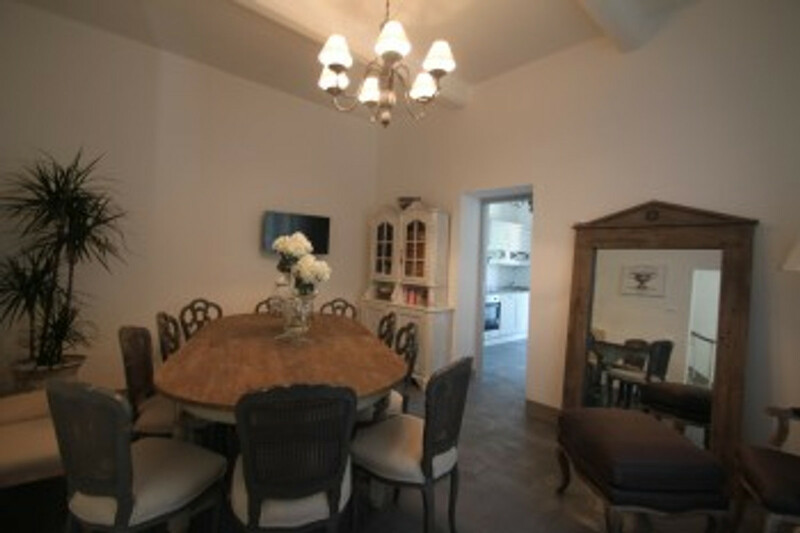 Dining room communicates with a large table and TV, with the fully equipped kitchen (4-ring ceramic hob, extractor hood, oven, microwave, dishwasher, fridge freezer, coffee machine). 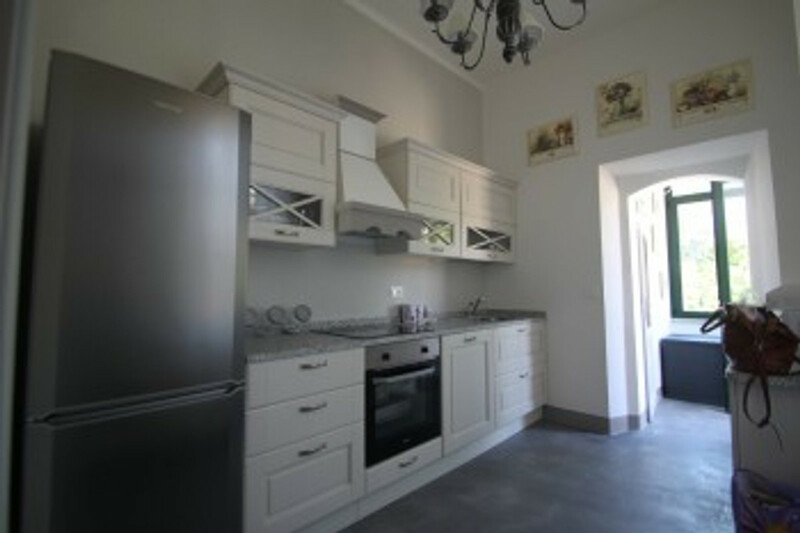 The kitchen has a door giving access to the outside where there is a pergola with table and chairs for outdoor dining. Bathroom (toilet, sink and shower). On the first floor: bedroom with double bed (or 2 single beds) with TV. 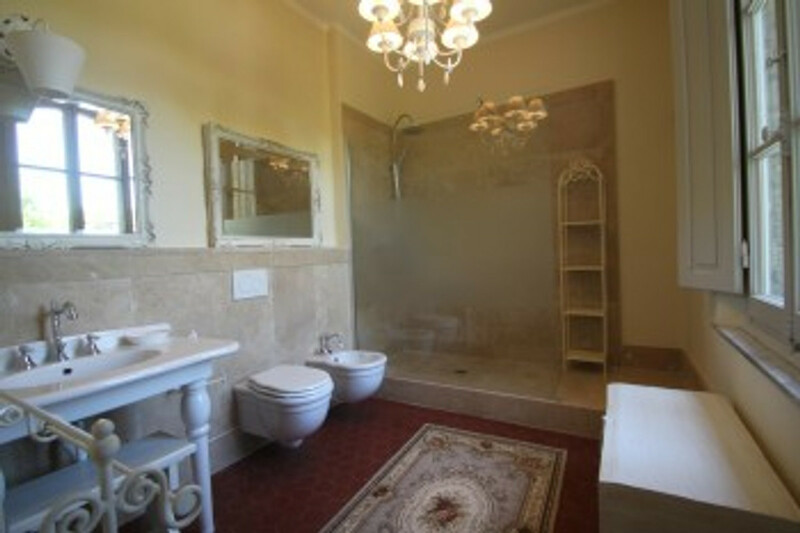 Bathroom with shower. Room with double bed and en-suite bathroom with large shower. Upper floor: Bedroom with 2 single beds and a bunk bed (in bed with a double bed and single bed on top) and en-suite shower room. Bedroom with double bed (or 2 single beds) and a single bed. 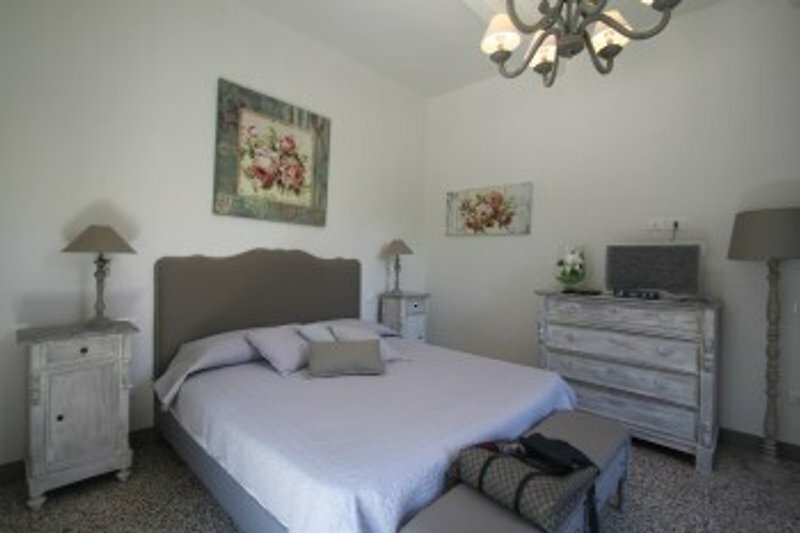 The villa is equipped with outdoor lighting, parking on the plot and covered. In the garden, there is a laundry room with washing machine, iron / ironing board. Available free 6 bicycles, which can be useful to move or go shopping in the small shops close to the beach. Table-tennis. Safe and free Wi-Fi. only 300 m from the sea with the bicycles that are to disposal. The villa, which has so-called White Beach (due to its proximity to the famous white beaches of Vada) all completely renovated and opened to guests in June 2014 and is located in a quiet residential area, only 300 meters from the sea and about 500 meters from the bus famous white beaches of Vada, famous for its white sand as that of the Caribbean. 6 bicycles at your disposal. Arrival / Departure: Saturday in high season. In off-season free-arrival. Electricity, gas, water: included. Cleaning: Euro 250,00. Heating: Euro 45,00 / day. 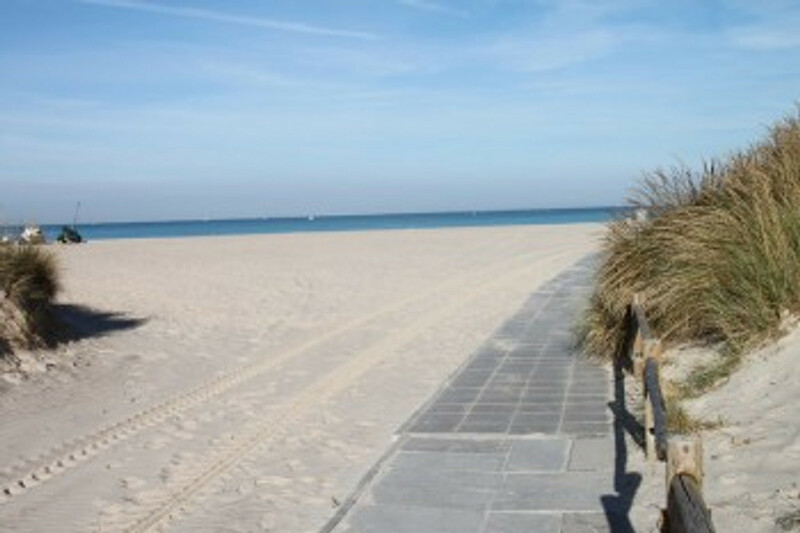 Pets: allowed on request, Euro 30,00 / stay. Linen: not included or locally for € 12,00 / person / change will gemiete, towels included.